Among the traits lauded by students in the survey were Wheaton’s focus on active learning; an interdisciplinary curriculum that “fosters appreciation for critical thinking, diversity and civic engagement”; engaged professors who are “incredibly knowledgeable in their fields” and “work really hard to put the student interests first”; a “gorgeous” campus, welcoming environment and “sense of community that runs deep”; and the college’s “many great resources for career building,” according to The Princeton Review. 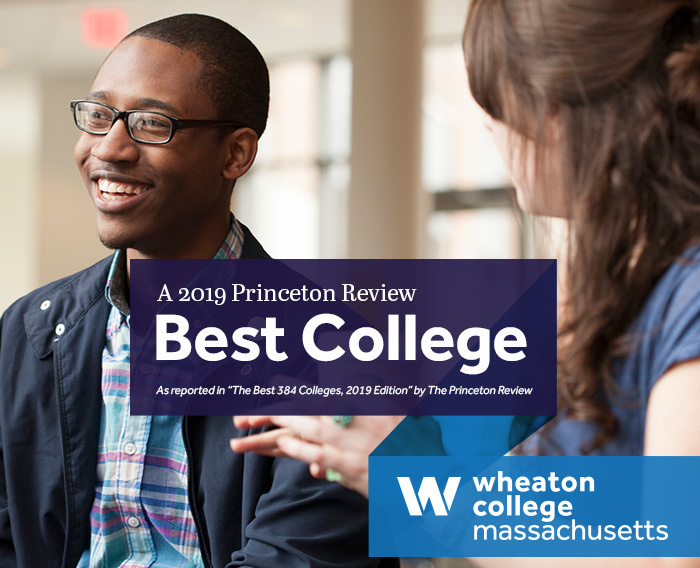 Wheaton is highly rated on a number of national lists, including holding a spot for two consecutive years on the Times Higher Education/Wall Street Journal list of the Top 50 U.S. Liberal Arts Colleges. The school has also been named one of U.S. News & World Report’s 2018 Best National Liberal Arts Colleges, Best Value Schools and in the top 50 as ranked by high school counselors.